Kelso Dunes - Mojave Desert Preserve (DesertUSA) "
This unique and isolated dune system rises more than 600 feet above the desert floor. 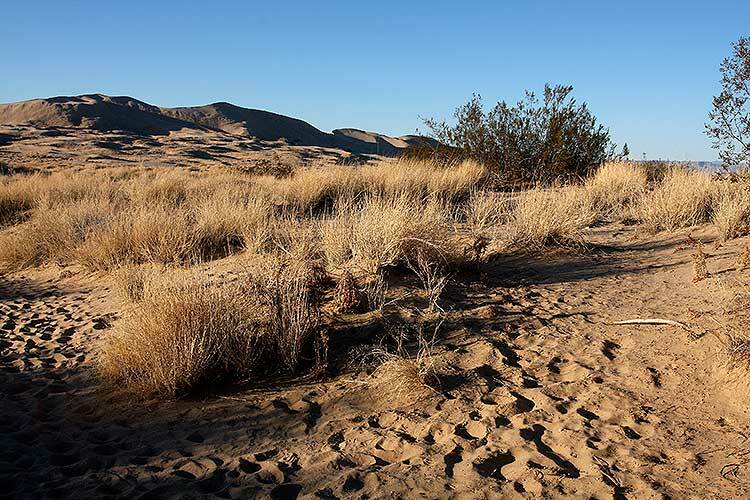 The dunes were created by southeast winds blowing finely grained residual sand from the Mojave River sink, which lies to the northwest. The dunes' color is created from many golden rose quartz particles. When the dry sand grains slide down the steep upper slopes, a notable booming sound is produced. In some years, the dunes offer a nice spring wildflower display. A hike to the top and back takes approximately two hours. The area is closed to vehicles. This extraordinary dune system has an unexpectedly mysterious history. Huge amounts of sand were needed to build Kelso’s delicate wind-created sculptures, but geologists studying the Preserve discovered that no new sand is moving in to replenish the dunes. Where did the sand originally come from? What made it stop accumulating? The Kelso Dune sands remained a mystery until very recently. 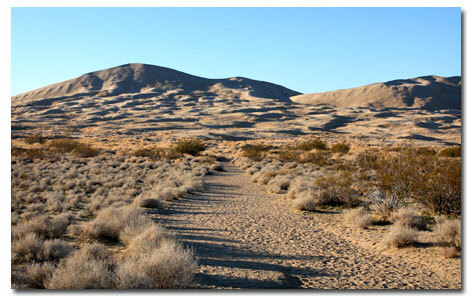 Over the past few thousand years plants have progressively covered and stabilized areas once covered by drifting sand. 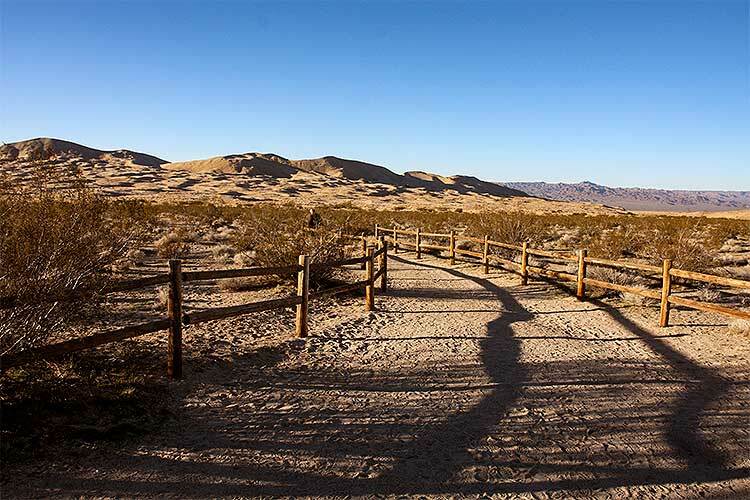 As you explore the dunes look for tracks left behind by the many creatures that call these dunes home.